Media Ethics and Society: Is Drone Use too Invasive? 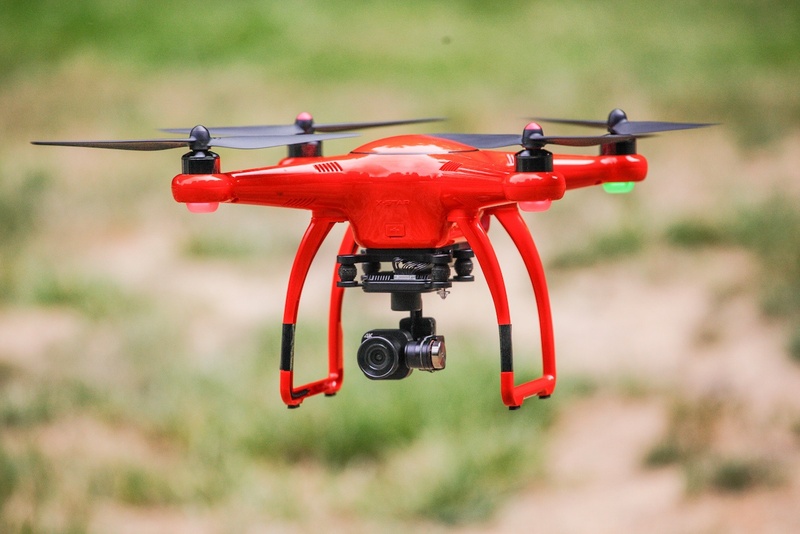 Within the last few years, there has been an increasing use of drones throughout the world. Many people use drones for recreational use because, well it can be very entertaining to fly them around and take amazing pictures from heights only someone in a plane or helicopter could reach. Drone accessibility is on the rise due to them becoming more affordable as well. As of 2016, consumer drones could be bought for as cheap as $40. With drones becoming more widespread and accessible, there have been many ethical questions that have arisen. The ability to take pictures from the sky is a very powerful thing when it comes to the journalism field. But with that comes abuse, especially in the forms of safety and privacy. Why? Because there is a chance that what is captured on the drone's camera may invade someone's privacy. When journalists fly drones they are not prone to asking the people that they take pictures of for permission. There is also the question about private and public property because air spaces are included. When people are flying drones, many of these questions are ignored and that is not good journalism. When Cyclone Pam tore through Vanuatu in March 2015, 17,000 buildings were destroyed or damaged and 65,000 people were displaced from their homes. Journalists used drones to fly other the devastation and capture photos of the destruction. But, was this right? Due to the roofs of many houses being torn off, the drones could have captured very private moments between the families residing in the houses. So how do we as journalists and drone users ethically deal with this issue? According to the Professional Society of Drone Journalists they use a code of ethics that ranks values from highest to lowest. The list goes: newsworthiness, safety, sanctity of law and public spaces, privacy, and traditional journalism ethics. Using this code journalists should be able to gage when it is appropriate to release the images captured with the drone. Pointer recently held a workshop where they trained 325 journalists and journalism educators on how to safely and ethically fly a drone. In their published article, one of the important points that they make is "would you do that if you were capturing the same image on the ground?" Meaning, if you were to peer over a fence, look into a window, or go on private property, how would you be able to justify capturing the same image while airborne? You wouldn't. While currently there is a voluntary code of conduct used amongst the humanitarian community, there is not a set code for private and commercial entities. I believe that a code of conduct for flying drones could only help journalists because it would help us be ethical and respectful towards the public. This is very important because unethical journalism can only be fought with accurate and ethical journalism. Therefore, while it is okay for journalists to use drones to take outstanding photos and document events, we should not be able to take it too far as to intrude in the lives of others.